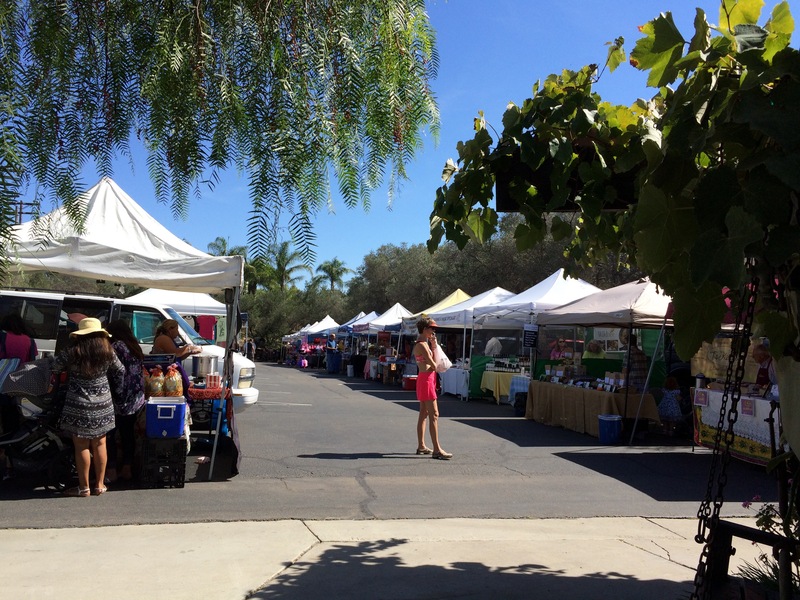 Friday’s Farmers Market was up at the Bernardo Winery, Southern California’s oldest operating winery. This is a great place to take visitors, with its numerous shops and stalls, and on Friday they add the Farmers Market to the mix, too. This is a small market, but the produce looked great, and the stalls with snacks and baked goods have tasty treats. From the specialty foods seller Wildtree I bought a neat fruit dip powder to mix with cream cheese and cream after just one sample… and I’m rarely an impulse buyer at these markets. Someone is going to get this for Christmas, and the seller is usually at the Bernardo Farmers Market, so I know where to get more, ha! 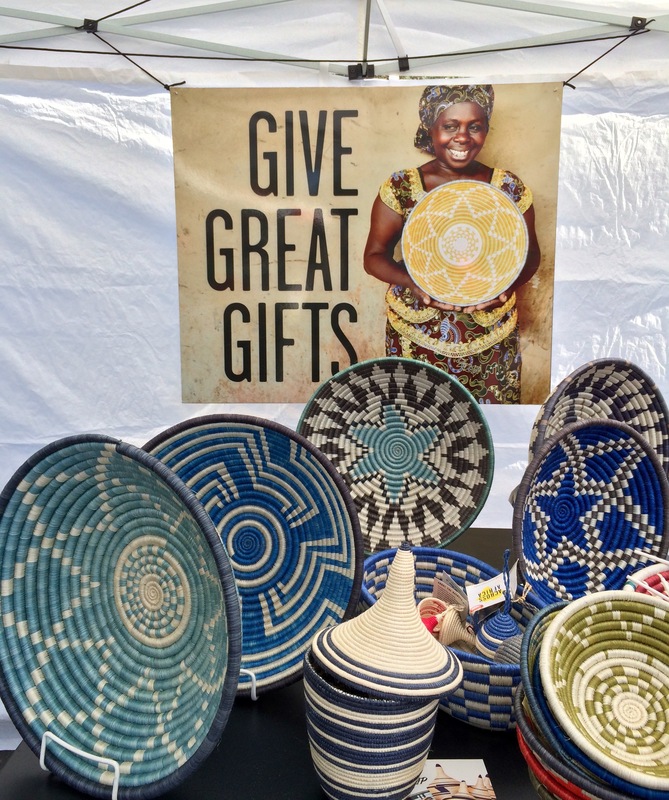 One particularly interesting vendor, Across Africa, was selling baskets made by Rwandan and Ugandan women. You may have seen similar baskets to these at your local Costco- Rwanda Partners Baskets. Across Africa, with its slogan “This is a Success Story,” is a company that has not only brought a steady income for many families through organized cooperatives. Look at these beauties, and look them up. Don’t you know someone who would like one of these for a gift? I know I would. 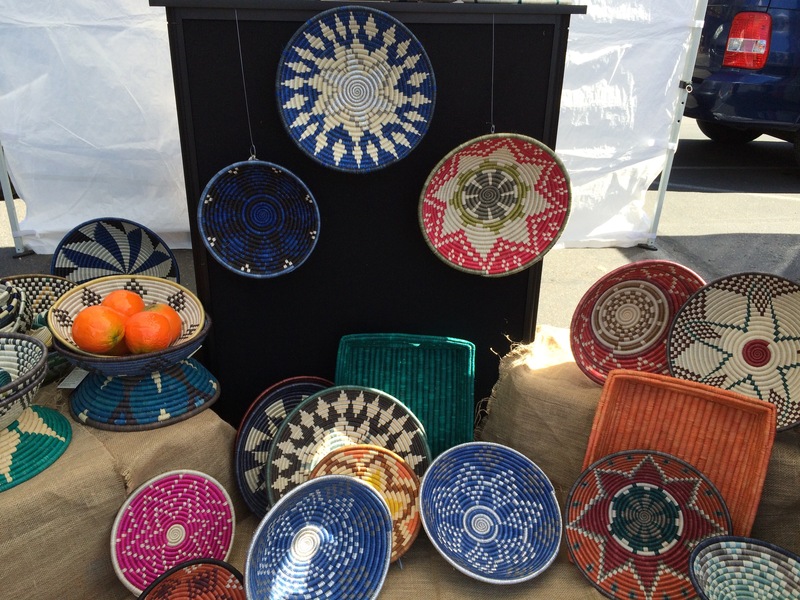 I don’t know if the Rwanda Partners Basket company will be in the Bernardo market much longer, but the rest of the vendors (including, you guessed it… the same hummus seller) are here year round. And the setting can’t be beat. 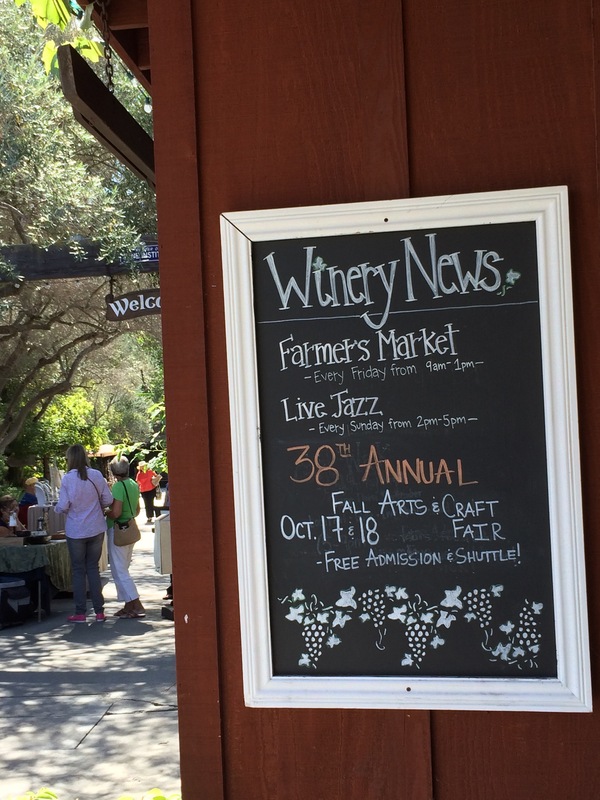 Spend a nice morning visiting the winery’s shops, have a cup of coffee at the cafe here, and finish your Friday morning with the Farmers Market.